This one is in my top 6 or so all-time favorite podcasts. P-Dub knows how to tell a story. I love the way he blends the story telling and the music. Spell-binding, first-class work from a real pro. He sets the bar high for all other podcasters! 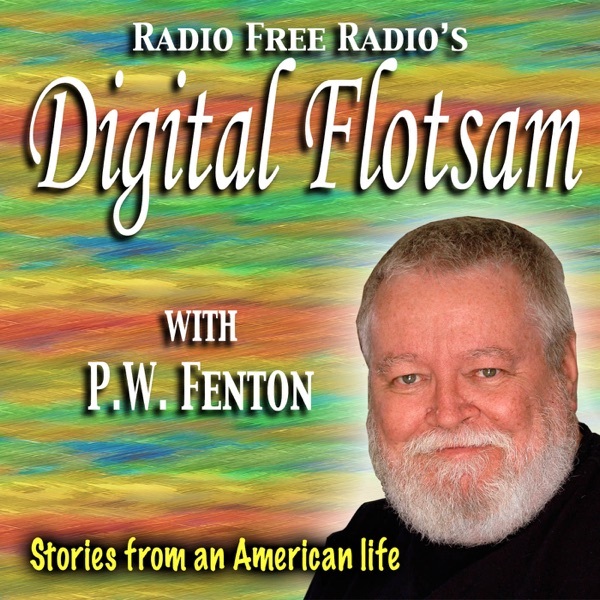 First heard Digital Flotsam when he subbed for Dawn and Drew. Entertaining and worth the download. Great stories and music from a great podcaster. Each time one of these comes out it's such a treat. R U Listening? This is a well produced podcast that is worth a listen just for that. It is entertaining, lively, and well paced. Simply the best; stories you anticipate from week to week. THE BEST podcast in the world! I can't say enough about Mr. Fenton.... save it to say he has inspired me to begin to record my experiances for future use.... I anxiously await each podcast -- I have over 20 of them in my library and re-listen to them often. He is the Garrison Keelor (spelt?) of podcasting! This may be the best podcast in the world. Great personal stories yet on themes that appeal to everyone. Great production and sound. Great emotional commitment to some 'truth' lurking behind the theme. Always some humor, usually some sentiment, and always without cynicism. I love the 15 minutes or so that I spend with each of these podcasts. If only my own were so good.